An apple a day keeps the (mad) doctor away! Nibble on some nutrition and snack on “apple smiles” for Halloween. The fruit is filled with peanut butter (protein) and fat-free marshmallows, which makes it a healthier alternative to the sweet treats and candies that the kids are collecting in plastic pumpkins today. 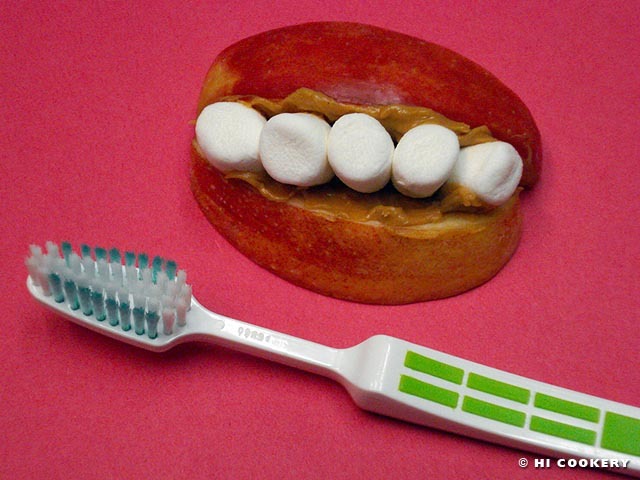 These delicious dentures are another freaky yet fun food for Halloween. Wash, dry and slice the apples to ½ inch thick. Spread a little peanut butter on one side of two apple slice. Arrange a few miniature marshmallows on top of the peanut butter. Sandwich with the other apple slice. 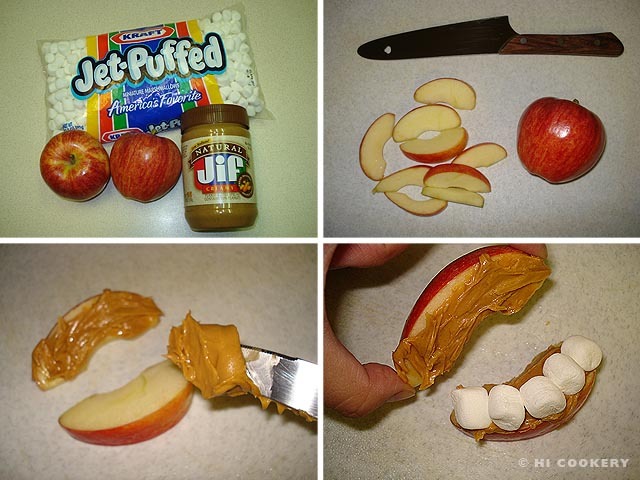 Continue assembling the “apple smiles.” Serve as snacks immediately.